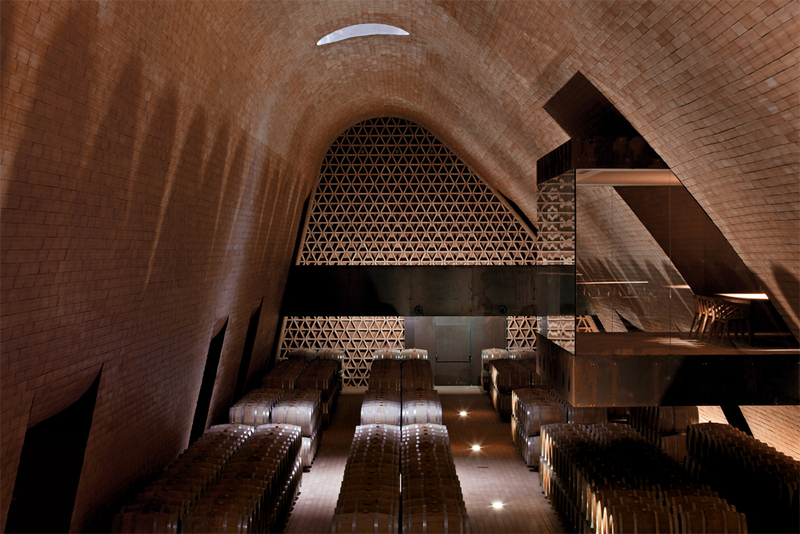 This month’s feature of Inside* explores the cavernous depths of the highly-praised Antinori winery in Italy. Wine and architecture are two of my favourite things, so when they come together I’m a very happy chappy. Living in Cape Town means that I’m blessed with amazing wine farms right on my doorstep, but patriotism aside, there is something really special about Italian wines – especially those produced in the Chianti region. Maybe it’s the romance of Roman gods decadently drinking wine from ornamented goblets? Perhaps, more personally, it’s the image of my Italian friend cradling a bottle of Chianti like a proud dad. The point is that there is something special about Chianti – both the wine and the region. Somehow, the Antinori Winery captures it perfectly. The building’s form emphasizes the integral relationship wine-making has to the earth by merging itself with the landscape. Most of the structure is buried deep underground in order to use the terra’s geothermal mass to create naturally cool temperatures for the wine cellars. It nestles into the hill, becoming a part of the agricultural terrace system by incorporating roofs that are working vineyards. From the busy road below, the visible part of the building looks just like a gently raised eyebrow questioning its own existence. Visitors experience the building from the bottom up. The journey begins by driving through the vineyards until you enter a tunnel which directs you into the belly of the building. You pass through a court that has a large, circular cut out in its roof, revealing the sky and highlighting the subterranean nature of the space. You move to the upper level via a large corkscrew staircase that drops you on to a terrace offering panoramic views of the valley. 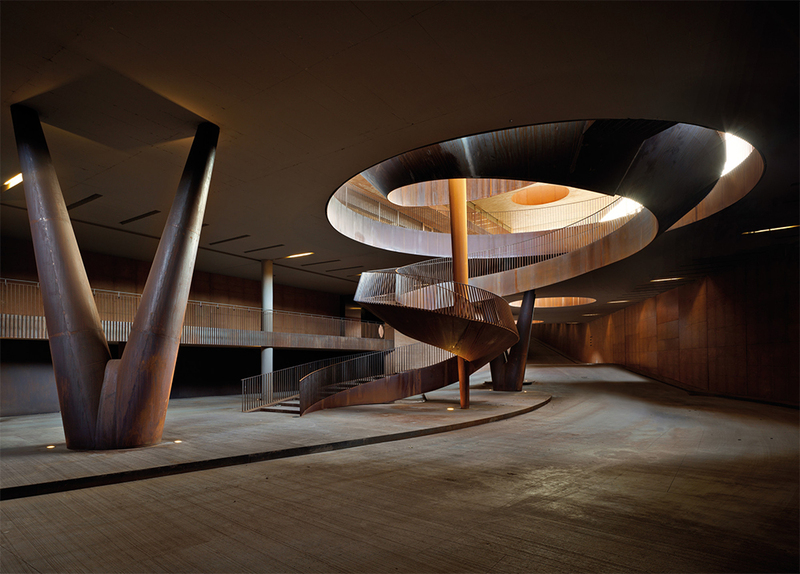 The staircase is made from cor-ten steel, which yields a rusty texture that fits perfectly with the architecture’s earthy palette. For me, the best part of this building is the cellar. For me, the best part of this building is the cellar. Undulating vaults define the cavernous space and are made of terracotta which is a traditional local building material. This rough, earthy material emphasises the feeling that you are submerged in the landscape. Punctures in the roof allow soft light to enter, and shadows cast by the barrels create an ethereal atmosphere. You can almost sense the passing of time and the silence. After 26 generations the Antinoris have definitely mastered their craft. Now they finally have a winery that is crafted with the same artistic rigour as their wines.